This rack is inspired by both the amplifier and the speakers. 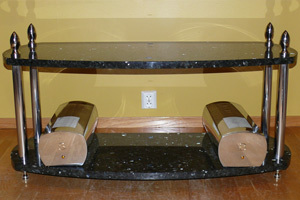 We can customize the Constante Rack to your specifications. Single or double. Also available with potmeters suiting your flavour. 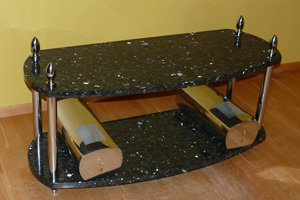 The Constante Rack is designed purely of granite and high polished stainless steel.